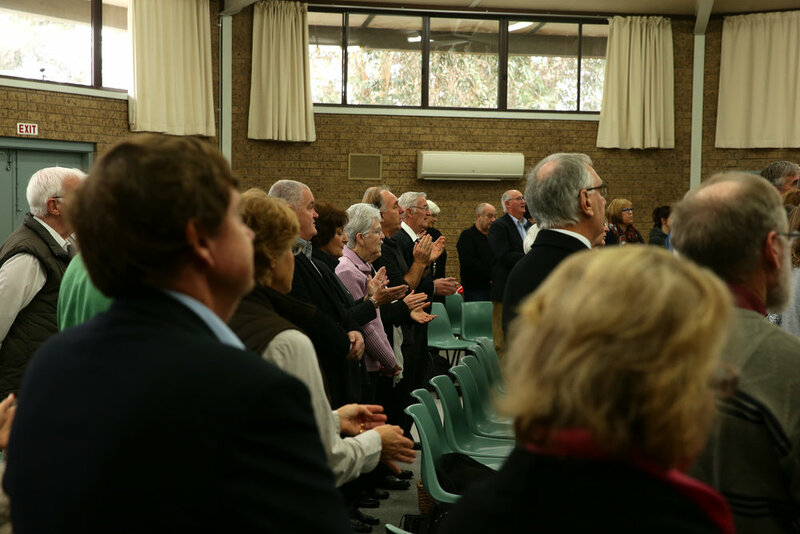 The Bellarine Assembly is the Geelong region assembly of the Revival Centres Church. We are a group of people of all ages and backgrounds, who want to know God and have God working in our lives. We find that when we follow and do God's Word, we see God work in our lives as he did in bible times. Having a personal relationship with God is the promise of the bible. At any of our gatherings you will meet people who have had an extraordinary experience with God. The new testament of the bible describes a church that changed the world, full of people who knew God and were known of God. It talks about salvation as a foundational experience from an answering God. Jesus didn't die to bring dead religion. He came to fulfill God's plan, pour out the promise of the Holy Spirit and change peoples lives. He called it being Born Again. Every Sunday our communion service lasts for approximately 90 minutes. We typically sing a mixture of traditional and contemporary Worship songs, listen to personal accounts of what God has done, hear a talk from God's word, take communion, operate the spritual gifts, pray (including a prayer line for anyone with a need) then sing a final song. After our communion meeting we have an afternoon tea. You will not be singled out, pressured to give money or do anything. The Bellarine Assembly is a volunteer run church. Sunday evening bible studies start at 4:50pm and last for approximately 45 minutes. We sing together and share personal accounts of what God has done before hearing a brief talk from the Bible. Our preaching is centered on Jesus and how he works in peoples lives today. This means we preach from the Bible, because the Bible is all about Jesus. Our singing is centered on worshiping Jesus. You are a part of the band and we desire to create an environment to foster congregational singing - not to put on a show for people to watch. Our music include elements from all music styles. Bellarine Kids is about helping everyone know and love Jesus. We do this by providing an environment on Sundays where the Word of God is taught and Jesus is worshiped by even the youngest in a fun environment. Please come find us in the sunday school building attached to the main hall where a friendly member will direct you to your child’s class. Bellarine assembly is a child safe organisation, please refer to our child safety statement, link in website footer. Our upcoming events are published to our calendar as well as our Facebook and Instagram pages. Our personal experience, and its context in the Bible story is much bigger than we can get across in just a few words. The Bible is the story of God’s dealings with Israel; of preachers, teachers, prophets and kings. It is the story of Jesus, the gospel and the Church. It is a story of miracles, direct insights and transformed lives. Everything covered in its pages is important. This statement of beliefs is just a starting point, if it seems different to what you may have experienced in the past, rest assured that each point is based firmly in the Bible, but you don't have to take our word for it - we would be more than happy to show you how you can actually experience God's power in your life.